Prominent manufacturers of commercial vehicles stand out mainly because of their customized vehicle concepts. The transport tasks of their clients vary and have to satisfy strict requirements in terms of safety, flexibility, and volume. Lantek software supports them, using the most up-to-date technology for the manufacture of trucks, tankers, and buses, standard models and custom products, for the widest variety of purposes and transported materials. 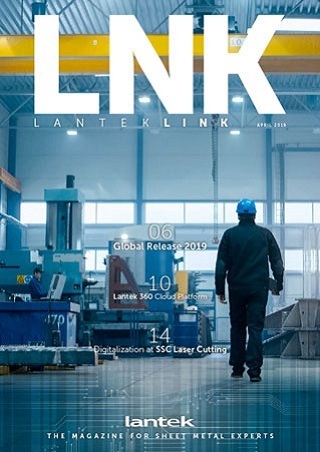 The CAD/CAM/MES/ERP software solutions from Lantek optimize all processes: from quote generation to computer-assisted design, intelligent materials usage and synchronization of production steps, to on-time completion and inventory management. Commercial vehicle manufacturers combine custom products with system components while maintaining the same degree of functionality and safety, whether for tippers, flatbeds, trailers and truck bodies, or low-loaders, sliding-floor systems and tankers, buses and even custom vehicles, not intended for everyday use. Database-backed 2D and 3D designs mean special models can be developed individually and quickly; even design changes can be incorporated at short notice. Lantek software optimizes the production capacity of your workshops by combining the manufacture of special client requirements with the production of standard products. Any free capacity can be leveraged by manufacturing standard products for immediate availability to meet orders at a later date. This guarantees not only optimal machine utilization but also maximum material usage. There is no costly downtime or left-over sheet metal. The software solutions allow continuous monitoring of all production processes up to completion – with a mouse click and in real time. That way, production managers can check at any time that the quality is correct, that production is running efficiently and optimizing costs, and that delivery times are being met.